Located in the lush surroundings of Bhubaneshwar, Falcon Crest by Falcon Real Estate is the niche of your being.  The project is a residential development and is in close vicinity to all your necessities. It is approved by Odisha RERA and built to cover 2BHk, 2.5BHK, 3BHK and 3.5BHK apartments with all modern amenities. A home with space and comfort is waiting for you. Where is Falcon Crest located? 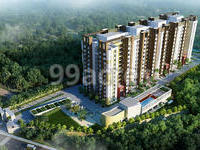 The project is located in Shampur, Bhubaneswar. What apartment sizes are available in Falcon Crest? The project offers apartments sized between 1365.0 sqft and 2425.0 sqft. 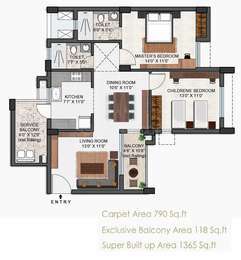 What is size of 2 bhk in Falcon Crest? 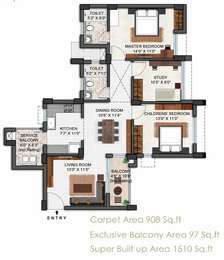 The area of 2 BHK apartments ranges from 1365.0 sqft to 1510.0 sqft. What is the 3 bedroom size in Falcon Crest? 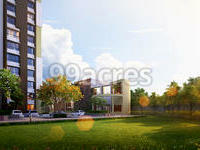 The area of 3BHK units in the project varies from 1615.0 sqft to 2045.0 sqft. What is the 4 bedroom size in Falcon Crest? 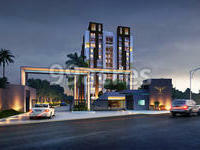 Four-room units (4BHK) in the project are available in an area of 2425.0 sqft. What is total size of Falcon Crest?The project is built over an area of 3.32 Acres. rt and services while meeting all obligations to the society and the environment. Customer satisfaction being the core essence of the organization, they are also striving to be the leader in delivering integrated solutions for infrastructure, buildings and services.